Don’t have the time to go to a conference to earn CME or CE credit? Do you need CE credit to renew your state license? Are you a physician that wishes to earn CME credits to be qualified as the laboratory director for a moderate complexity lab? Then taking courses online at CRI®‘s LabUniversity is a perfect solution for you. Course topics are arranged in learning modules so you can control when, where, and how long your sessions will take place. You can log into a course at any work station at any time and start a new lesson or continue where you left off from your last session. 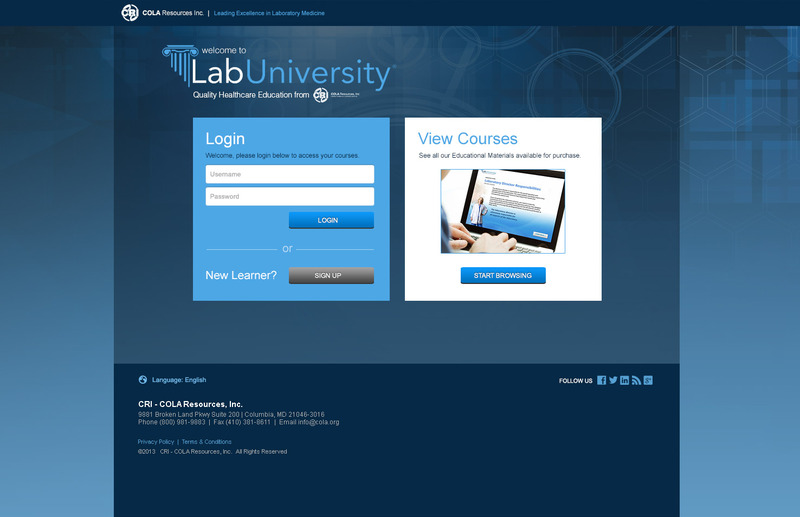 You can click on a course below to view more details about that specific course or choose to visit LabUniversity.org and see the entire catalog of online learning opportunities being offered. Our Lab Director CME Program offers CME credit(s) for physicians. CRI®’s Lab Director CME Program is approved by the Centers for Medicare and Medicaid Services (CMS) as a way for Physicians to qualify as the director of a moderate complexity laboratory. The individual courses may be purchased to meet specific continuing education needs for physicians, nurse practitioners, and nurses.